Now's the time to preserve your special memories on digital media before it's too late! In addition to advertising services, Mackey Media Ltd located at The Insurance Management Building Freeport, also provides audio and video restoration and archival services. So if you're frustrated with being unable to conveniently view your old VHS, HI8 or MiniDV tapes we can transfer them to DVD, Flash drive, hard drive, prepare them for your portable devices and even upload them to the Internet for you. 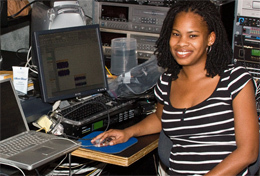 Radio ad production and advertising in The Bahamas has never been easier! Call Celia Mackey at Mackey Media Ltd. to produce the radio ad that promotes your business the way it should be to increase your bottom line. Celia can also place your radio advert on Bahamas leading urban contemporary radio station, 100JAMZ! Proven to withstand a 152 mph hurricane! 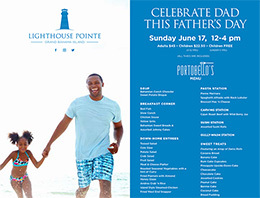 Located on Queen's Highway in TAX FREE Freeport, Grand Bahama Island, a short 28-minute flight from South Florida (Miami/Fort Lauderdale). 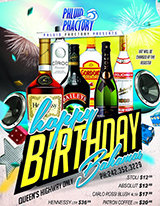 Phluid Phactory Presents Happy Birthday Bahamas Sale Queens Highway Only. 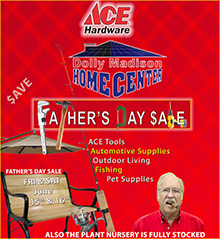 Make this Father’s Day the best yet with a gift for dad from Dolly Madison’s Ace Hardware. Choose from their vast selection of Ace power and hand Tools or automotive supplies and Ace Hardware’s got the perfect fishing rods & Supplies for the big one. Then head to the Ace Outdoor Living department for the perfect patio furniture and more . 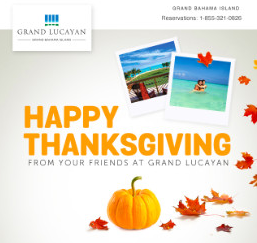 Freeport, Grand Bahama - Hop over to Grand Lucayan for a Festive Holiday Feast. Rejoice in the joy of Easter and join us at Portobello's for spectacular buffet menus on Good Friday and Easter Sunday. 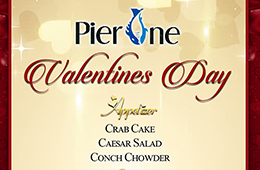 Valentine's Day Brunch is offered on Sunday, February 11, from 12 noon - 4 p.m.; and a Valentine's Dinner Buffet on Wednesday, February 14, from 6 p.m. - 10 p.m.
LOVE is in the air, and Valentine's Day is just around the corner, and we know you'll want to remember the love of your life. 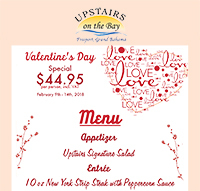 TheBahamasWeekly.com is offering you dining choices, so you'll be in the know for the right ambiance, and price! 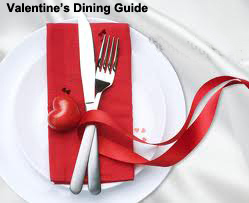 Dine Your Heart Out and Celebrate Valentine's Day with the one/s you LOVE. 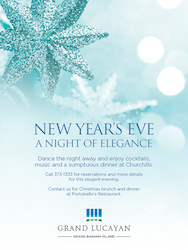 Freeport, Grand Bahama Island - Grand Lucayan Resort invites you to Enjoy a fabulous night of Elegance this New Year's Eve at Churchill's Restaurant; Cocktails - Music and sumptuous Dinner. 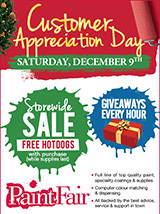 15% off storewide, up to 25% off selected items, free hotdogs with purchases and great giveaways every hour. Our customers have asked for it, so by POPULAR DEMAND, our biggest savings of the year will take place again on Wednesday, November 29th. 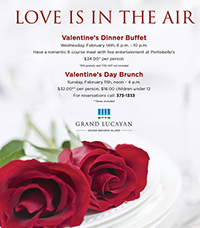 Freeport Grand Bahama Island - TUESDAY! 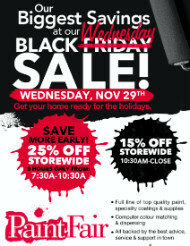 Nov. 28th from 8am to Midnight at Dolly Madison Home Center, the boss is giving huge storewide discounts at their annual Midnight Madness sale! Come on Down and get huge storewide savings in Ace Hardware, Rooms To Go, Radio Shack, Whirlpool, Ace Paint, Lawn & Garden, GE appliances, Christmas decorations and gifts galore. The warehouses are overflowing with new inventory and the prices will make you feel like you’re in Miami! 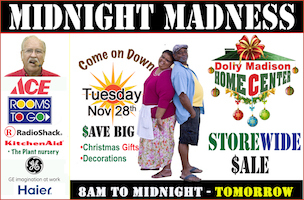 Head to Dolly Madison Home Center, TUESDAY November 28th for their annual Midnight Madness Sale going on 8am till midnight! Let's all get together and say thanks. 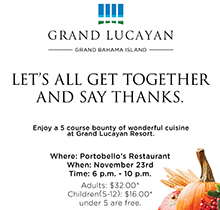 Enjoy a 5 course bounty of wonderful cuisine at Grand Lucayan Resort.